Two mules and a bright sunrise carried Joey Feek, wrapped in love and simple pine to that patch of grass under the tree, her favorite cowboys by her side. Watching him standing there, waiting in the shade that day, my memory played snapshots of their lives together. …Joey, singing to Rory who shed tears years before they were his to own….Joey up before the camera crew stirring a pot of chili big enough to feed the entire cast and crew of “Josephine” the music video….Joey+Rory opening their door wide and putting their life on hold for an hour or two because they had company. Joey Feek feeding the cast and crew on the set of "Josephine" the music video. It was Joey+Rory that asked my family to be neighbors to their farmhouse in Tennessee. Here Rory talks about their reasoning for using the “plus” sign: Joey+Rory, and that it means them + everyone and everything God brings into their lives. But to us it means that God blessed us by bringing their lives into ours. I first met Rory at a Bible study 15 years ago. 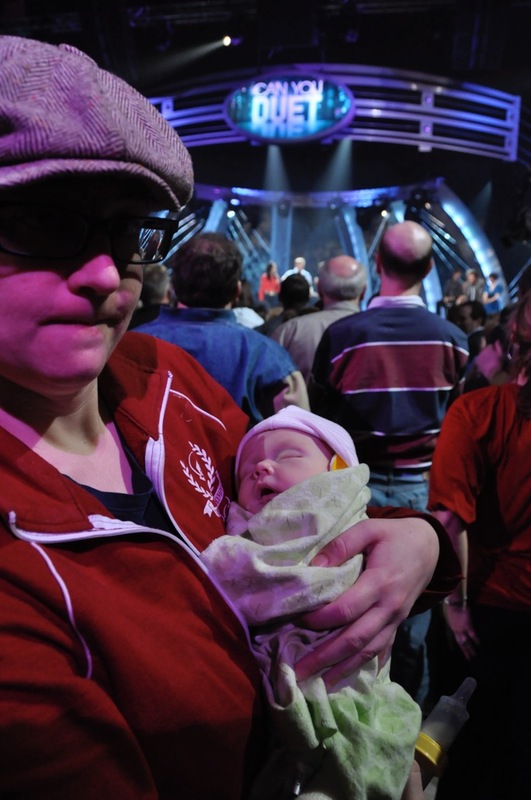 About 4 years later, after “Can You Duet”, which happened to be my daughter’s first concert, Rory started talking with us about developing a TV show, and the Joey+Rory show was born. 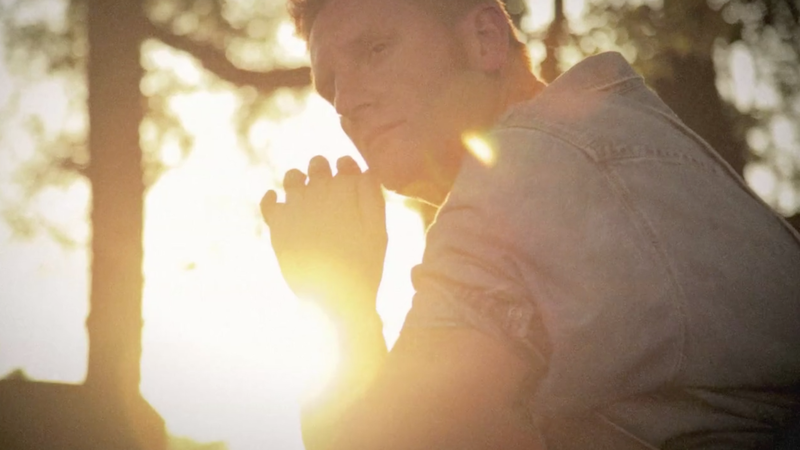 We owe much of our current work to Joey+Rory. Together, we’ve helped to create 52 TV episodes, 1 reality TV sitcom pilot, 3 TV specials, 4 music videos, and 2 feature films, and this special tribute to Joey. But we owe them even more than that. The time we spent together was never just work. We passed countless hours in conversation, collecting priceless memories. Joey cooked us dozens of homegrown meals, including pickled okra, freshly harvested sweet potatoes, corn on the cob, oven baked chicken, and Nick’s favorite carrot cake (but don’t tell his mom). We’ve traveled 8 states and a decade from Key West to California capturing our dear friends and watching their lives play out from the camera lens to the television screen. But it was always more than that. We were learning- learning how to live, learning how to love, and watching. Our cameras panned the stage where they sang together along with 300 fans for The Joey+Rory show- the stage that we helped build. We peered into their living room where we witnessed a mother’s joy as she gazed into the eyes of her newborn baby, heard Joey’s laughter as she chased after her baby chicks, and watched Joey, Rory, Heidi, Hopie and Indy love each other and every friend and stranger they welcomed into their family. Through watching and filming their lives, we learned how to live authentically. We learned that sometimes life hurts, and we felt the pain with them as they allowed the world into their living room to share their hurt and the joy that came through tears. by Rory, who loves Joey with a fierceness and a flame that shines her light for the world to see; he clings tightly to his friends, family, daughters, and God, who assures him for everything there is a season. “I have to choose everyday to live this life as if it is exactly the life I’m supposed to have,” he told me, as a testament to his faith and resolve to carry on. Whose hospitality puts us all to shame. Who was more of a mother in 2 years than most in a lifetime. Who always believed. Whose light still shines in that bright sunrise where the mules and her favorite cowboys reached her spot in the shade under the trees. If you would like to witness this portrait of a beautiful woman, To Joey, with Love can be found on Rory's website.